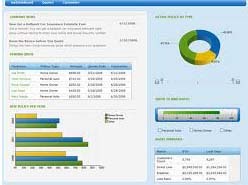 Get organized with WebhostforASP.NET SharePoint Hosting, the leading Microsoft web hosting solution for secure document management, content management, and workflow features for your intranet or extranet requirements. Also including ability to host public SharePoint website content and password protect specific files and folders for secure and effective team collaboration and information sharing. WebhostforASP.NET SharePoint hosting has been supporting companies critical collaboration and communication operations since 2004. Windows SharePoint 2010 and Windows SharePoint Services (WSS 3.0) hosting from WebhostforASP.NET includes FTP access to install custom web parts, Site Collection Administrator access, sub-site creation. 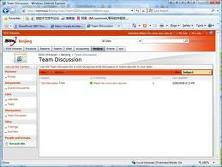 Customer can choose between Sharepoint 2010 Hosting or WSS 3.0 Hosting. The default when you order will be Sharepoint 2010. However if you need WSS 3.0 Hosting, please put a note in the order. Web 2.0, Enterprise 2.0, composite applications, community-driven content-whatever you want to call it, Internet technologies such as AJAX, RSS, blogs, and wikis are giving users more control over their content, more control over their collaboration, and more control over the way data flows to them. 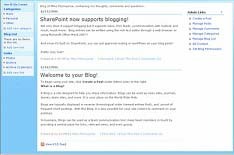 Sharepoint 2010 provides a number of new features while improving the existing collaboration platform by providing built-in abilities for document management and alerting, adding new capabilities like blogs, wikis, and a Web Part for publishing and receiving RSS feeds. Sharepoint’s mobile functionality let users that are constantly on the road stay connected and up to date with tasks and team projects. You can also receive alerts when information is updated on the site. Automated workflow and electronic forms simplify collecting and validating data that drives your business processes. Moving beyond just managing documents, Sharepoint 2010 provides a robust enterprise content management solution by adding support for managing records, Web content, and electronic forms. 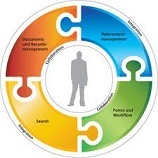 The records management capabilities of SharePoint include the ability to build a managed repository that meets your compliance needs such as content retention, auditing, barcoding, and labeling.